Have you ever thought your car's sound system could sound better but you didn't want to spend a ton of money making that happen? The Terminator TN200/2 is the perfect amplifier to help make that happen. 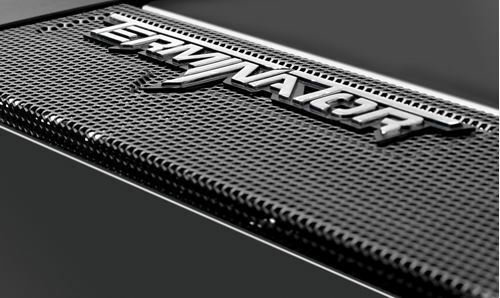 This 2-channel amplifier is perfect for making your car's front stage speakers sound better or even running a small subwoofer in your system. While the price might not be high, the TN200/2 delivers big on features. 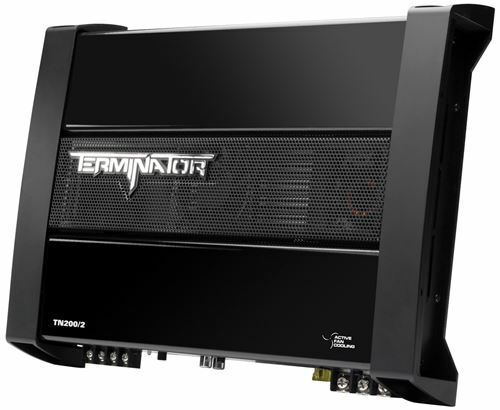 This amplifier uses a class A/B topology which delivers exceptional sound quality to both full range speakers and subwoofers. 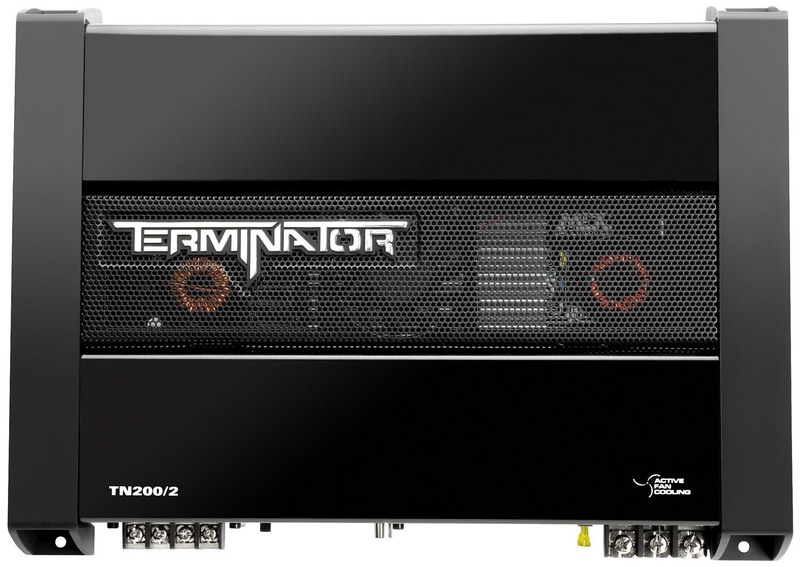 The TN200/2 features a unique variable fan cooled design that allows it to effectively regulate its thermal temperatures based on output. As the amp is played louder the fan spins faster and when the volume is lower the fan spins slower, but since it is variable you don't have to worry about hearing any fan noise. The TN200/2 additionally includes a few of MTX's hottest amplifier technologies including Smart Engage auto turn on technology that eliminates the need to connect a remote wire to the amplifier in order to turn the amplifier on when the radio is turned on. This saves time and eliminates the possiblility of causing damage to the dashboard during installation. 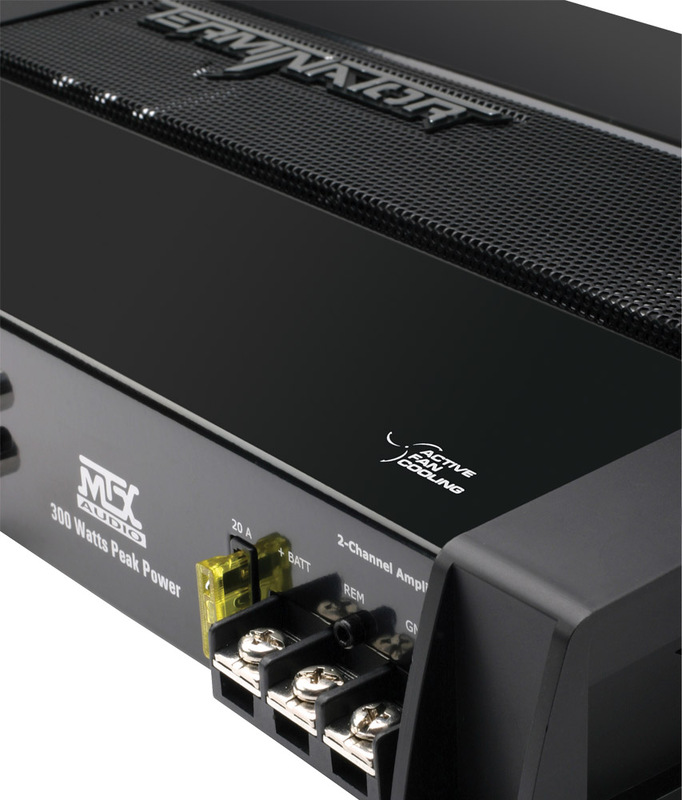 Connect leads directly from the speaker wires to the amplifier and it will get both its audio signal and turn on signal from those wires. Intelligent Surface Mount Technology utilizes very small components that are vibration resistant, which increases reliablity ensuring your amplifier is ready to rock when you are. 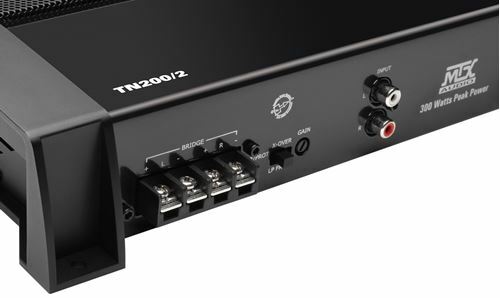 Then TN200/2 is capable of delivering 45-watts RMS power per channel at 4Ω and 75-watts RMS power per channel at 2Ω making it the ideal amplifier for powering coaxial or component full range speaker upgrades. It can additionally drive 150-watts to a single channel when used in 4Ω Bridged mode.